The refurbishment at Janata Dhan is almost complete (see photos on following page). A lot of work has been done with the money which was sent over in two batches. The photos show some of the work which includes painting and decorating both inside and out which not only helps to make the environment look better but is also a great cleanser and promotes greater respect for the buildings and its occupants. 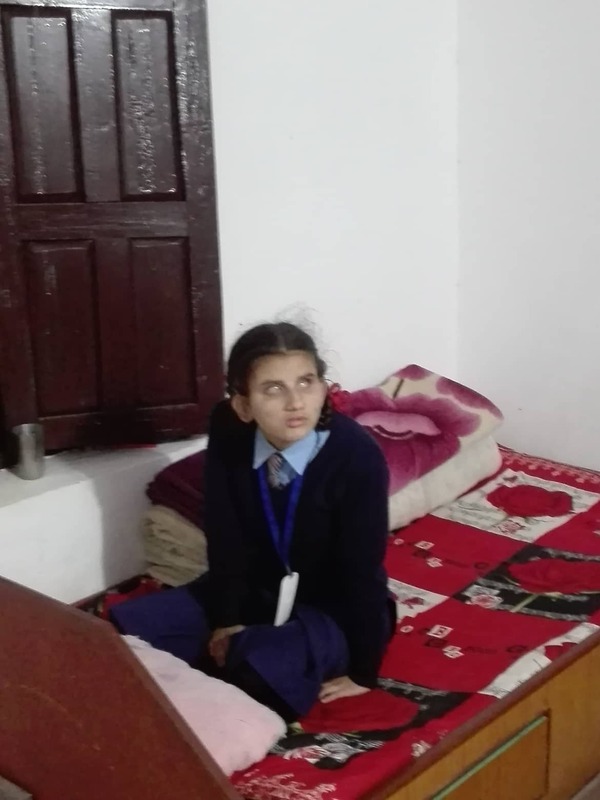 The children, who all have sight impairments, live in the hostel during term time. They are educated in the mainstream school which surrounds them but, when I visited earlier this year, they appeared to have little to do when not in lessons and a very shabby, neglected and, dare I say it, unhealthy, building to live in outside school hours. Photographs, in truth, could not convey the conditions in which they were living. 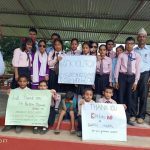 Having looked at a number of projects in the Parbat/Baglung region it was the plight of these children which hit me hardest. 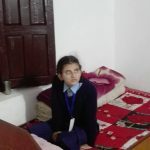 Through SWAN, a local NGO (non government organisation) it was agreed to raise and provide funds for the refurbishment of their term-time home. The children were asked what they needed and this included storage space as well as the rest of the refurbishment suggestions. Of particular concern to everybody was the need for new and better beds and bedding. The existing items were rank I’m afraid. This has now been rectified and the children now sleep in beautifully clean and bright sheets and on lovely mattresses. It was important to me to keep asking the children what they most needed. They also added music to their requests and radios were brought in as well as instruments to play. I have never worked with sight impaired children so I considered it vital to listen to them and this Prekshya and the SWAN team did. Apart from the furnishing and decorating work much basic infrastructure work was also done. The electrical supply has been brought up to scratch and there are now bright, hygienic zinc surfaces where needed. The uneven and damaged floor has been resurfaced smoothly in some areas and will hopefully be resurfaced throughout. I look forward to returning to see the work sometime in 2019 and taking more raised money to fund, or help fund, another project. Nursery education is a crying need in Nepal but there are a million other things that need doing especially where women’s and girls welfare is concerned. I am constrained by Charity Commission rules to limit funding to “the education and self-improvement of impoverished and disabled children” which is probably a good thing as I would want to try and fund a million projects for these friendly and welcoming people.